Dress like a PRO. Ride like a PRO. Protect yourself like a PRO. 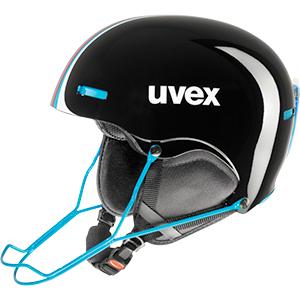 The uvex hlmt 5 race ski helmet is one of the stars of the race collection. This ski helmet separates the boys from the men. A piece of protection made for high class performances. uvex athletes like Felix Neureuther or Jean-Baptiste Grange swear on this helmet. The design of the uvex hlmt 5 race is taken from the uvex freeski product range and developed to a high class race helmet. The hlmt 5 is equipped with IAS fitting system and the Monomatic closing. The hard shell helmet is equipped with a separate chin guard. Lightweight and streamlined: the uvex race + racing ski helmet is your missing puzzle piece for high-speed downhill runs. The international Ski Alpine elite wears on this one-of-a-kind speed gadget. uvex athletes form Matthias Mayer to Dominik Paris love this outstanding ski helmet. 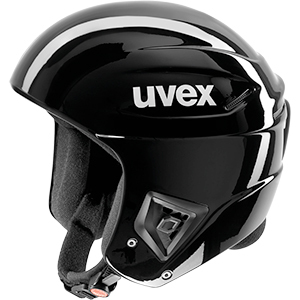 The uvex race + ski helmet meets the new FIS requirements from 2013/14 and complies with the EN 1077 A standard. Equipped with the latest ski helmet technologies, a separately available chin guard optionally can be mounted to this ski helmet.